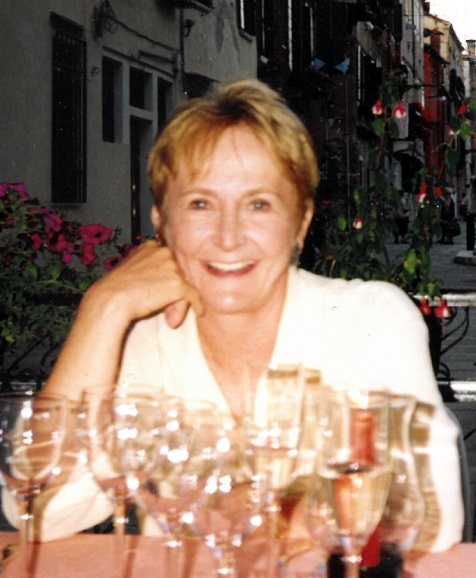 Judy Anne Reiner passed away Thursday, August 16, 2018 at home. She was born in 1943 at Deer Lodge, Montana, to Elizabeth and Theodore Olson. Judy was preceded in death by her parents and brother Terry Olson. Judy is survived by Marty, her loving husband of 48 years, sons Barry (and Denise) and Jesse (and Deborah), and grandson Tyler. Judy’s family includes her sister-in-law Vera Olson, and the families of niece Kellie, and nephews Tod and Troy. She is also survived by aunt Stella Jean Hansen, cousins Sarah, Jennifer, Mike, Rebecca and Toby. Judy was predeceased by her cousin Aron, and her Aunt Billie. Judy spent most of her life serving others. She was a social worker protecting children, earned a Master’s Degree from Roosevelt University, and moved from Chicago to Houston in 1979. In Houston she was an executive at the American Red Cross, YWCA, and Planned Parenthood. She also served as Development Officer for Texas Women’s University, University of Houston and the Nature Discovery Center. With a lifelong commitment to women and their causes, Judy mentored numerous women as they moved through their professional lives. In 2002 she served as President of ROBWEC, the professional women’s group she belonged to for 33 years. A Celebration of Judy’s life will be held in the Cherie Flores Pavilion at McGovern Centennial Gardens in Hermann Park from 11:30 am to 1:30 pm Monday, August 27, 2018. Reserved parking is available in Lot C, 1500 Hermann Drive, at Jackson. In lieu of flowers Judy asked that memorial donations be made either 1) to Houston Hospice (1905 Holcombe Blvd, Houston, TX 77030) in recognition of the loving care provided in her last weeks; or 2) to Planned Parenthood Gulf Coast (Development Office – Donations, 4600 Gulf Freeway, Houston, TX 77023) in recognition of their commitment to women and health.